•High-Quality Material: The quality of all items is very well, since they are made of environmental pure wood pulp. Caution of fire. Please note that colors may vary slightly from images because of various factors like lighting, monitor, manufacturer batch color variation. 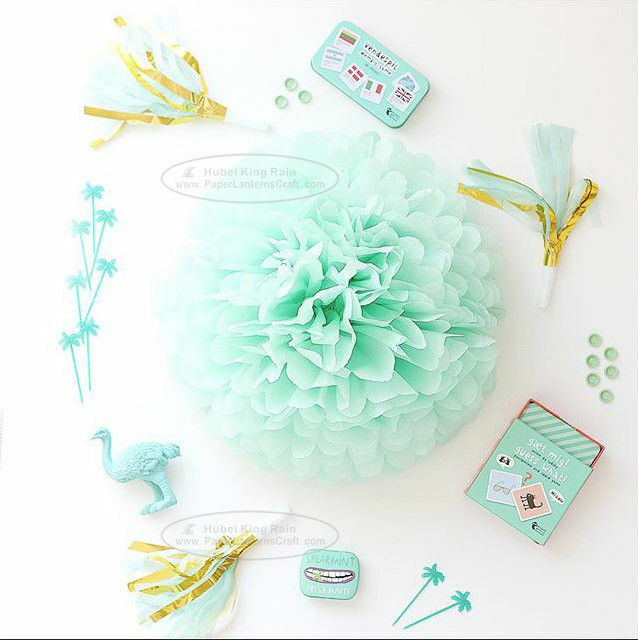 •Wide & Creative Application: These beautiful paper pom-poms are wonderful decorations for festival and party. Suitable for any occasion, such as Birthday, Wedding, Christening, Baby shower, Kitchen tea, Nursery decoration, Christmas, Halloween or any other celebration. •Easy To Assemble: The tissue pom-pom is individually packed, and it is very easy to operate with instruction. It is packed flat and what you need to do is to fluff it out. You can hang the paper pom-poms on any place. These Honeycomb Balls are ideal for decorating your special events such as parties, baby showers, weddings, and birthdays. Party decoration balls are available in many sizes and color combination to match your event theme. They can be hung from the ceiling, mounted on the walls, or used for table centerpieces.